With the theme "Bridging Diversity towards lasting Peace and Prosperity", the City of Koronadal is set to celebrate its 77th Foundation Anniversary and this year's Hinugyaw Festival from January 5-10, 2017. It will be another colorful and exciting celebration showcasing Koronadal's history, culture and people. 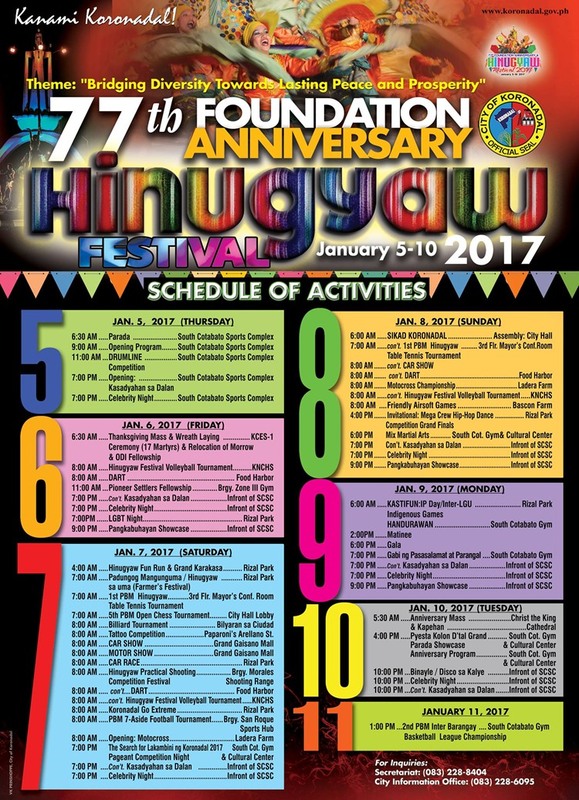 Don't miss Hinugyaw Festival 2017, check out the schedule of activities below.